I am a licensed esthetician and a professional makeup artist based in Austin, TX. I have over 12 years of experience in makeup artistry and I worked as a makeup trainer for over 6 years. I provide services including makeup artistry (traditional and airbrush), brow waxing, strip lash, microblading, and individual lash services. 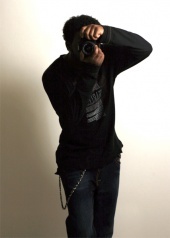 I also freelance on many projects including photo shoots, TV, and makeup for the deceased. I love working with people and live by my mantra "beauty is my duty". I have a strong passion from makeup and I am inspired by people, experiences, and nature. I am looking to network with photographers and models to build my clientele and to continue to expand my career as an artist so please feel free to contact me if you are ready to create beautiful art together. Please view and "like" my beauty of the day on my Facebook fan page Melissa Michelle Cosmetics. You can also follow me on instagram and twitter at beautyismyduty1. Worked with Melissa Michelle? Share your experience and become verified! LOVE LOVE LOVE your work. if you ever want to collaborate please hit me up! Great seeing you here on MM.